The Winter 2016 Nashville Fringe Festival Sampler features contributions from Joshua, Jeff Blaney, E.T., AL-D, Virghost, Positive Vibe, Candace Cheek, Yankee Blood, MANZARDO, Sofa Brown, Evan Blocker, Iyce, and Quiet Entertainer. Listen below, or download the entire sampler by registering for the Nashville Fringe Festival’s newsletter. “Changing Times” is from Joshua’s 2013 Joshua EP. “Shake That Thing” is from Jeff Blaney’s 2012 Labor of Love EP. “Rap is Rulin'” is by E.T. and AL-D (feat. Virghost), from the duo’s 2015 album Inevitable. “Misunderstood” is by Positive Vibe (feat. Candice Cheek). “Reckless” is from Yankee Blood’s 2015 Honey EP. “We Sing (Oh-Ee-Oh)” is from MANZARDO’s 2015 “MANZARDO” EP. “Out Here Boys” is by Sofa Brown (feat. Evan Blocker), from the 2016 album Two Skies. “Sunday” is by E.T., Iyce & Quiet Entertainer. The Fall 2015 Nashville Fringe Festival Sampler features contributions from AL-D, Bentley Caldwell, Dynamo, E.T., Fraug, the Great Barrier Reefs, Jeni Calhoun, and Truth Clipsy. Listen below, or download the entire sampler by registering for the Nashville Fringe Festival’s newsletter. “In This Together” is from E.T. and AL-D‘s forthcoming collaborative release. “Moonwax” appears on Fraug‘s 2015 self-titled EP. “No Tears” is the lead track from Truth Clipsy‘s EP titled The Lion. “Fight” appears on Bentley Caldwell‘s album, A Place to Be. “Dangerous Woman” is from Dynamo‘s 2015 release, Find Your Way. “The Revelation” is from Jeni Calhoun‘s mixtape titled Resurrection of Hip Hop. “Train Ride Home” is taken from the Great Barrier Reefs‘ 2014 release, Are You Scared?! 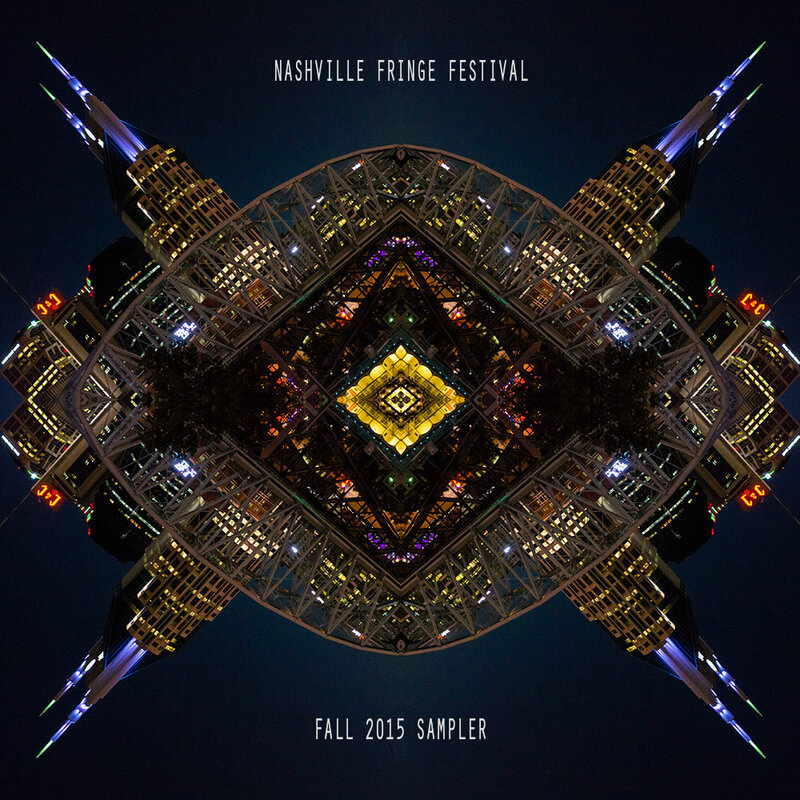 The Fall 2014 Nashville Fringe Festival Sampler features contributions from ​Al-D, Chris West, the Coolin’ System, E.T., Greg Bryant Expansion, Hide Your Mamas, Justin Kalk Orchestra, Markey Blue, and Quiet Entertainer. Listen below, or download the entire sampler by clicking here to sign up for the Nashville Fringe Festival’s newsletter.